Traditions Rally is a free, community-wide celebration held each year before the Bears kick off their first home game. The Traditions Rally will include a free student tailgate, pep rally and concert! 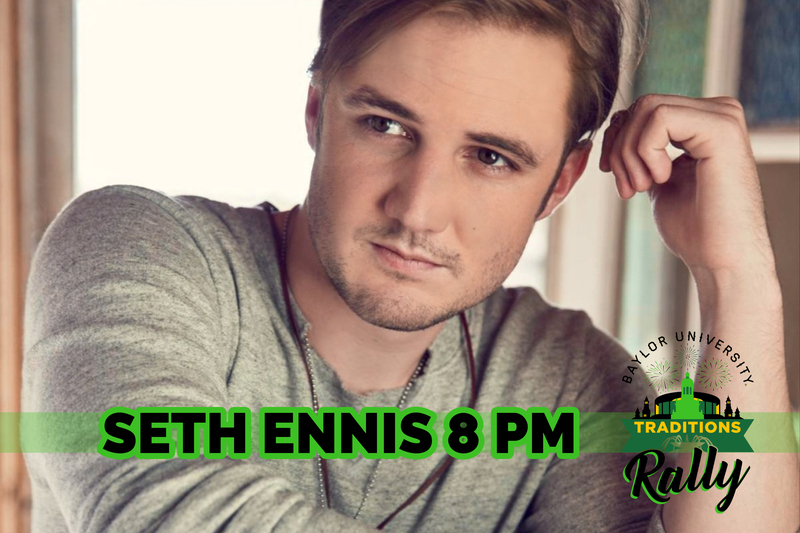 Nashville singer, Seth Ennis is known for his hits: "Woke Up in Nashville" and "Look at You". Seth is now working on his debut album with Sony Music Nashville. You can find his lastest song, "Call Your Mama" ft. Little Big Town, now on Spotify, Amazon Music, and iTunes!